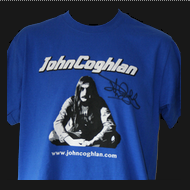 Please find below a selection of John Coghlan merchandise for sale. 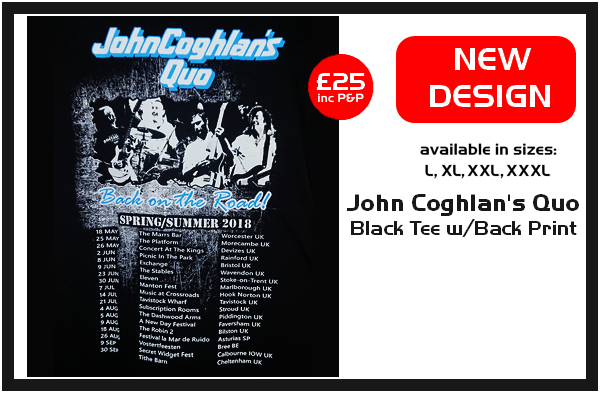 A selection of these items are also available at our gigs. Spring/Summer 2018 with back print can be purchased on this site. 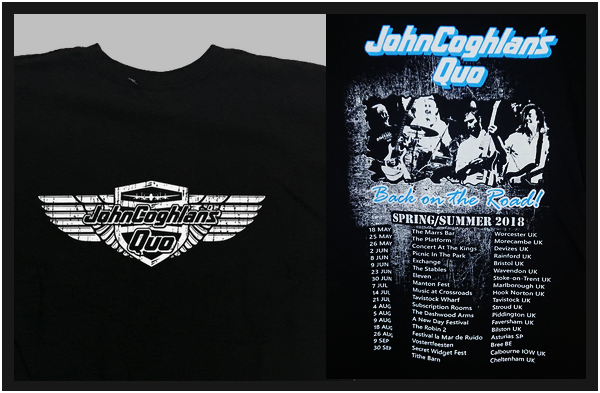 * A charge for P&P is included in the price of each tee-shirt ordered for UK addresses. ** FOR OVERSEAS ORDERS: P&P WILL BE CALCULATED ON WEIGHT, YOU WILL BE CONTACTED ON THIS BEFORE YOUR ORDER IS ACCEPTED. If you have any questions about these products please contact Gillie at: gilliecoghlan@gmail.com with your details. 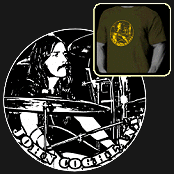 A small range of John Coghlan Tee-shirts and Hoodies are available from DJTees. We have a range of other merchandise in the works coming soon. In the meanwhile, a limited range of merchandise is available at our gigs.